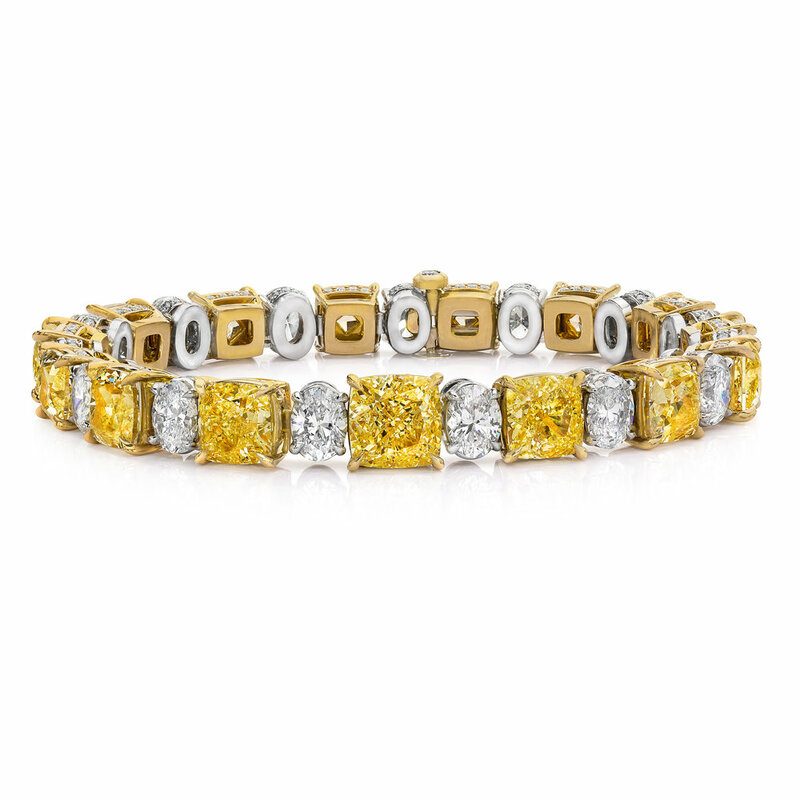 This bracelet features cushion cut fancy yellow diamonds that alternate with oval cut white diamonds. Each diamond is elegantly set on a diamond encrusted yellow/white gold basket. A unique and absolutely outstanding piece. Bask in the spotlight with this very stunning diamond bracelet. Features brilliant cushion cut diamonds set in a unique three row setting. Set with colorless and perfectly-matched diamonds. A gorgeous and important bracelet showcasing colorless diamonds of varying shapes, set in an intricate graduated design made in platinum. Diamonds weigh almost 50 carats total.